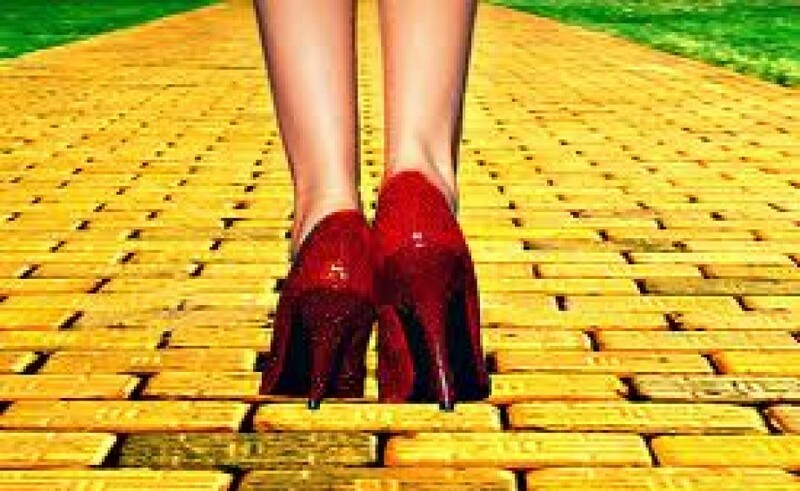 Whats the deal with The Yellow Brick Road and who is The Queen??? There is a certain kind of power in standing in your truth. A certain kind of power and defiance in nakedness, rawness, naturalness…and somebody knows it. The self help scammers (I’m just bitter, all the motivation speeches and books in the world never seem to move me long enough) talk about it as a base ‘know yourself’, ‘to thine ownself be true’. We know them, but I cannot be the only one that for whom this message flies over my consciousness. Truth is…those who are at a place where they need to Know Thyself are usually super uncomfortable with self and constantly trying to find ways to look at self ‘differently’. The black hair industry…a half trillion, or in other words a US $500 billion industry is a real indicator/demonstrator, if there was any…of a group who does not truly know them self or accept themselves. It lends itself to question, if black women and other consumers of the black hair industry in their bid to escape or redefine naturalness have also reneged their power. We have accepted and we teach our young women that their hair in its natural state of black nappiness wherever it falls on that spectrum, is not appropriate and will be a character that will keep us unsuccessful, unhappy and uncelebrated. We have accepted and teach our girls, and consequently our boys, that rather than the freedom and ease that comes with our natural-born hair, the burning from hot combs or the chemical burn wounds from hair straightening creme and the damage it does to our crowns and our consciousness is just right…as beauty comes with pain. The people holding bag after all the chemical wounds and the resulting hair loss etc from the industry are not the people using the products!…smile. I was born and raised in Rockfort Kingston, one of the most notoriously violent communities, I went to school, as the system prescribed, earned a degree and for a time did great things. I am still living in Rockfort and struggling in spite of my best efforts and intentions. The truth, I look around me at the systemic poverty, I look at my all-age school mates who all seem to not have moved an inch in their lives. What were they doing when I was being great…I’m sure they are wondering what is she doing back here. I was born in Rockfort and for years I avoided that fact…but it is all true. I accept it. I will stand in power of its truth. Follow my other blog about life in a Kingston Garrison…there are good things as there are ugly things.